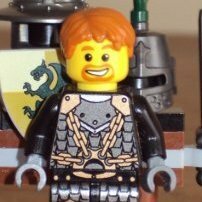 Fuzzylegobricks, brickyrob, thank you! But the chopsticks are not the most interesting thing here, IMO. Nice job. Great piece usage for the pickled ginger. Impressive 'Corioso', but I wouldn't want to eat it.....plastic gives me a tummy ache ! Great work and Brick On.....with fish ! Thank you for your comment! The rolls look like flowers. I think, it's funny. Thank you! This part is from the series "Life On Mars" I like this myself. It does look like ginger indeed. Nice joke! And "Brick On.....with fish" is "the final touch". Tasty indeed! 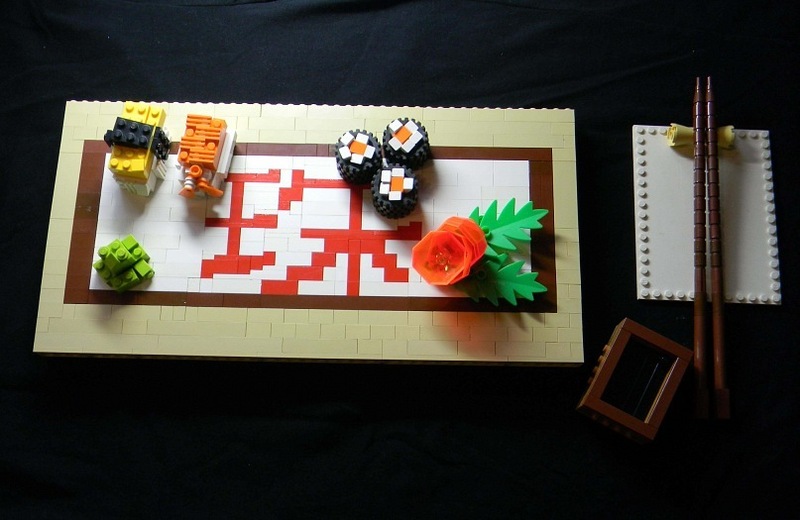 Very well done on this brickbuilt sushi table Carioso! It's not the first time I've seen one, but it still amazes me to see some clever parts usage like the tires, orange flippers, and those trans-orange space rocks. Looks good to eat. Good work. Very nice, the ginger especially is brilliant. This is awesome. Love how you did the ginger and the wasabi! Nice! Interesting usage of pieces, such as those tires for the seaweed wrapping. Oh, and just curious, do those characters actually mean anything? Leg Godt Gud, KielDaMan, dr_spock, puddleglum, tin7_creations, Delta, 38 vaskoko, thank you all! Thank you for bein so accurate, I just forgot to mention it. Those characters mean "a pearl". 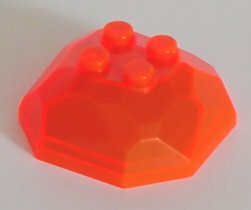 It`s the name of my first LEGO-sushi-restaurant. To bad I hate sushi too. Apart form that, well done and keep up the good work! I like very mutch sushi ...but man this is simply awesome! city boy, Mr. TopHat, Delta 38, LEGO Train 12 Volts, thank you for your appreciation!